It’s never too early to start worrying about facial wrinkles. In fact, trends in the skincare industry suggest that more and more people are buying face wrinkle creams at a younger age. Even men are starting to use a daily facial moisturizing cream to look younger and reverse the signs of aging. 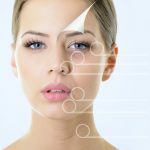 If you are someone who is concerned about fine lines and wrinkles on your face, you may want to consider a face wrinkle cream. You may wonder “what is the best anti-wrinkle cream for your face?” With so many skin care products to choose from, how do you select a face wrinkle cream that is right for your skin? It can be truly frustrating to pick a face wrinkle cream. 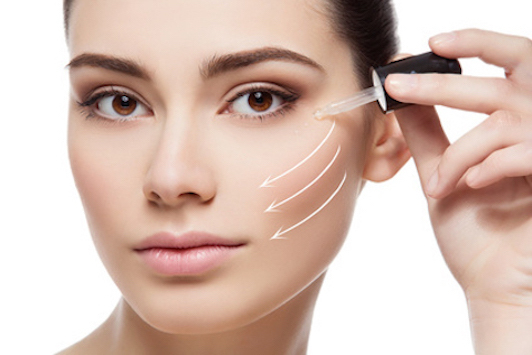 Anti wrinkle creams for the face range in price from moderate to really expensive. A more expensive anti-wrinkle cream isn’t necessarily better than a more moderately priced face wrinkle cream. However, sometimes you pay for the brand. The cheaper brands may contain chemicals, fillers or harsh preservatives to increase shelf life. So cheaper is not always a better choice. Some wrinkle creams for the face target specific areas, such as the areas around the eyes (eye creams), the neck or the area around the mouth. Besides price, it is often better to focus on ingredients that are natural and will not irritate the skin. That being said, try to stay away from anti-wrinkle face creams that contain preservatives that are considered to be unhealthy, such parabens. Then look for good, natural ingredients that have a positive effect on the skin’s elasticity, tone and complexion. These include vitamins B, C and E, Coenzyme Q10, collagen, echinacea and pomegranate extract, just to name a few. Face wrinkle creams that contain these ingredients, will not only moisturize the skin, but also boost collagen production and increase the shedding of dead skin cells. This will increase the skin’s natural elasticity and improve the overall skin tone and complexion. The result is a face that looks years younger. How long will it take to see results from a face wrinkle cream? A high-quality anti wrinkle cream for the face will start to show results in a number of weeks. 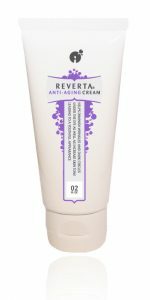 If you have dry skin and have been looking for a face wrinkle cream to reverse the signs of aging without spending a fortune, consider Reverta’s anti-wrinkle cream. 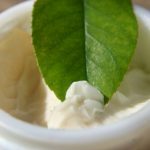 Our facial cream can be used on the entire face and neck. Besides being an great moisturizer, it will reverse the signs of aging by reducing fine lines and wrinkles on your entire face. Try Reverta’s Anti-Aging Cream Risk-free for 3 Months!